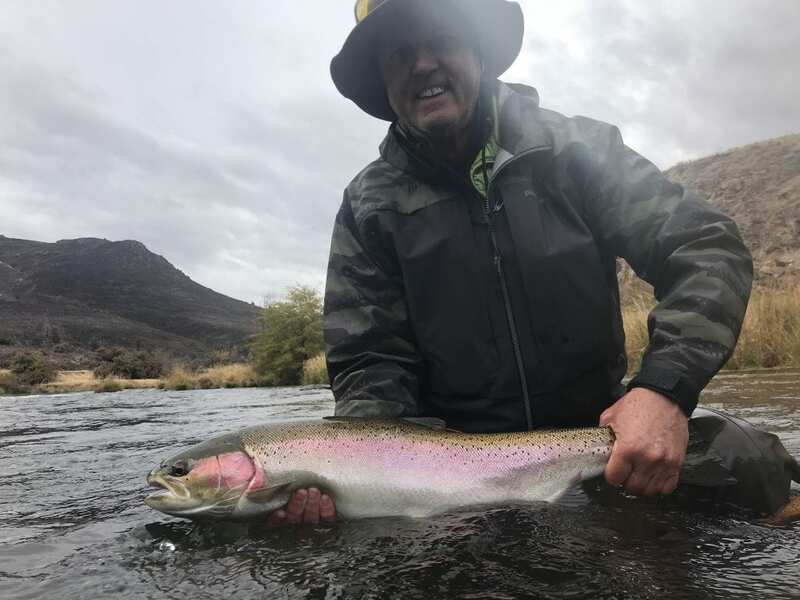 Searching for a needle in a haystack is something steelhead anglers are accustomed to and on a year where the run size is considerably down from average that is how it can feel out here on Oregon’s most famous river. Steelhead are spread from the mouth to the dam this time of year and that’s about 100 miles. That’s a lot of water to search for these amazing fish-the good news is pressure is relatively light so anglers can target steelhead in the most prime locations that they love without too many other friends. What that means is we can fish more A+ water and if we keep moving we are likely to intercept an aggressive steelie that hasn’t been bothered. Trout fishing has been pretty good too, not that we’ve been targeting them much but they definitely are hammering steelhead patterns especially a dark colored leach. The rainbows we’ve caught have been healthy, fat (still most with black spot on their bellies) and hard fighters. It seems they made it through summer quiet successfully and I’m looking forward to a strong salmon fly hatch in 2019. The October caddis are definitely around and I almost swallowed one that flew unknowingly into my morning coffee last week; however they seem to be waning-mid month they were very active this year. Blue Winged Olives and a few smaller caddis are making appearances from time to time as well. It’s this time of year when occasionally an incredible BWO hatch pops and you see noses everywhere! 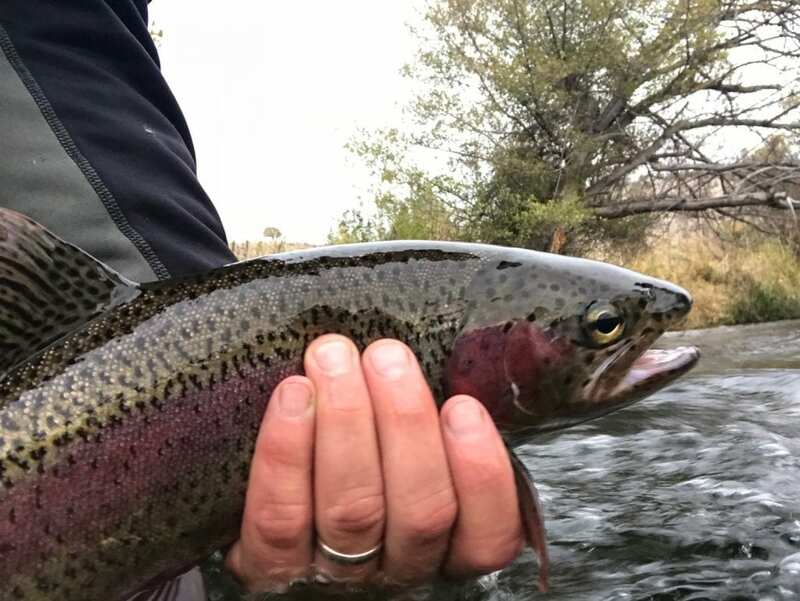 Remember trout fishing closes from the Warm Springs Res boundary upstream Nov 1. 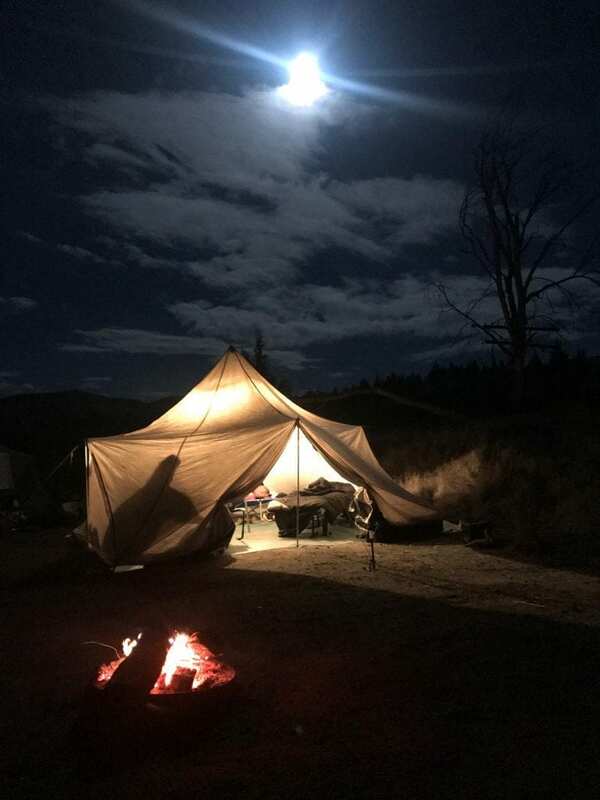 It’s an amazing time of year to be camping on the Deschutes River. The fall colors are spectacular and the glow of the sun low on the horizon makes for some impressive photo ops. The leaves on the alders are starting to fall as the weather cools and if you park your boat in the wrong spot on a windy night it might be full of leaves by morning. We are also loving evening time sitting by the campfire telling stories.